Comment: Repair the Ceiling Fan and build a clothes closet, Need a handy man that can do both. Comment: Existing fan/light but fan quit. I will have the replacement fan Weds from Amazon. Comment: I need an estimate for someone to install a ceiling fan. I also would like recessed lights installed in a bedroom. Please leave a text if I don't answer. Comment: Replace older failed fan with new Hunter fan/light unit already purchased. Comment: I need to get an estimate on looking at my roof. I have a small leak in my fan. Centerville Fan Services & Companies are rated 4.83 out of 5 based on 173 reviews of 6 pros. 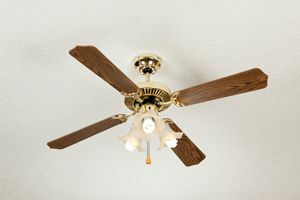 Not Looking for Fans Contractors in Centerville, MA?